The former mayor created an elite pre-K program to make his city's economy stronger. Terence 'Bud' Crawford, the fighting pride of Omaha, NE, is set to face off against the U.K.'s Amir Khan for Crawford's for Crawford's 147 pound welterweight title on Saturday at the mecca of boxing,..
Thunderstorms rolled through San Antonio, Texas, on April 17, accompanied by a stunning display of lightning. 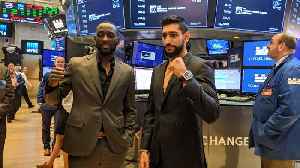 Jacob Valdez set up a camera to record the storm overnight and was pleasantly surprised by..
Top Rank president Todd DuBoef is in New York promoting the Pay Per View fight between Welterweight champion Terence Crawford and Amir Khan. TheStreet caught up with him to find out who would win.. 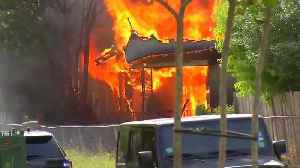 Authorities in San Antonio said a man assaulted his wife, fatally shot a neighbor and set his house on fire before dying in a hail of gunfire with police. 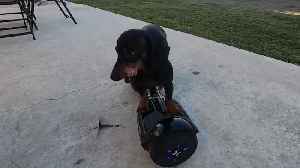 In this funny instructional video the filmer explains how two voice-activated 'fish devices' work. 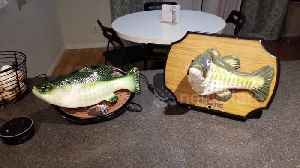 As he does so both Billy Bass' respond when their names are called, adding to the video's hilarity. 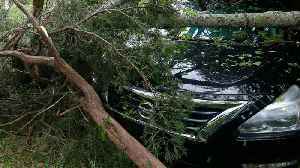 Several dealerships suffered significant losses from powerful storms that traveled from Texas to Ohio over the weekend.